Great talk on Stoicism and Practical Pessimism. When you no longer fear the thing you once feared, then you can live life with courage. Worth five minutes. Jason Fried‏@jasonfried This 5 minute video by @claychristensen is the most influential thing I've watched in 2012." When I read this on Twitter from Jason Fried of 37Signals, I know it is worth watching and I was right. "We hire products to do jobs for us." Why would someone hire printing and what job would printing perform? You can ask the same question with your product or service. Great three minute video with tips for improving productivity. Everything in life has been made up by people who are no smarter than you are. This is a piece of advice that Steve Jobs says can change your life because it makes you aware that you can do the same sorts of things. What do you see that others have done that you would like to do? Hopkins and the environment. Enjoy. Here is a video showing our wide format printing capabilities at Hopkins Printing. Hope you enjoy. Here is a video showing our digital printing capabilities at Hopkins Printing. Hope you enjoy. 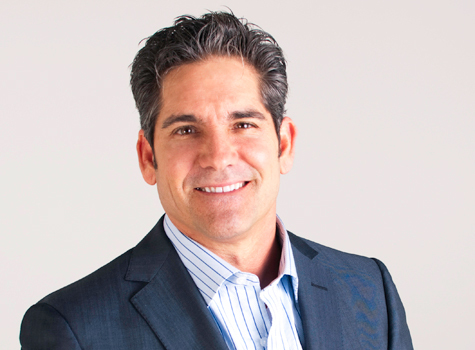 Grant Cardone explains five things NEVER to say to a client. Habits are what have to be changed in the long run to make changes to a person, a company or a family. Often it seems we need the silver bullet but that doesn't work for long. Eventually the old habits take hold and the old outcomes reappear. 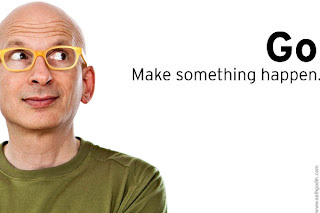 Below is a great post by Seth Godin about this topic - enjoy. In a world filled with an incredible number of distractions it's a wonder that anyone can stay focused. Between tv, movies, radio, the internet, our phones and life in general - it is difficult to focus. This morning I was reading about Steve Jobs and Mark Zuckerberg and the issues they face with focus. An article on Business Insider talked about how Zuckerberg doesn't do angel investing because it would take his focus off of his core business - Facebook. 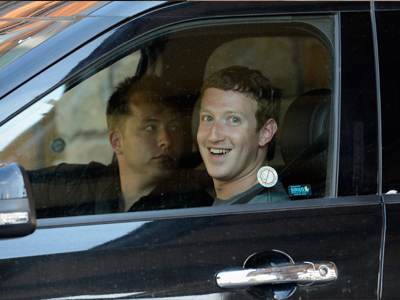 He doesn't feel like he can do his job with Facebook and spend time on other ventures. This was also true with Steve Jobs and Apple - he didn't do angel investing. Then I started thinking about how this should impact me in my life - what is my focus. During work hours my focus should be 100% on building a great business that will be around for the next 100 years. During the day what do I do that takes my focus off of business? Do I allow non-work things to sneak in and take time? Staying focused is a difficult discipline because there are so many distractions but the payoff is huge. If it's good enough for Mark and Steve then it's good enough for me. Having never studied economics other that micro and macro in a single class, I was never a reader of Milton Friedman. 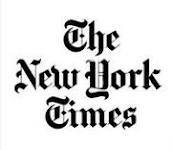 Today I read an article in the WSJ about his thinking and his impact on the USA and I am finding myself being a fan. Today is the 100th anniversary of Milton's birth so there is some coverage of him in the media. One great quote from the article is "In the 1960s, Friedman famously explained that "there's no such thing as a free lunch." If the government spends a dollar, that dollar has to come from producers and workers in the private economy. There is no magical "multiplier effect" by taking from productive Peter and giving to unproductive Paul." I am always amazed at the number of people, some are even well intentioned, that believe a bureaucrat in a far away city has more insight into what people need than the people themselves. If you are in sales then you know there is no thing as a free lunch - if you don't develop customers and business then you don't eat. That is one of the things I like about sales. 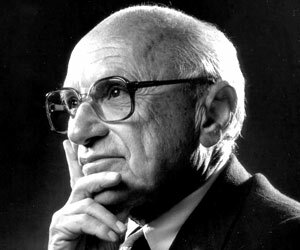 If you don't know much about Milton Friedman, take some time to read a little today. It may help you in the long run. Ricardo Semler has built a large business using some unorthodox methods. I don't agree with everything he promotes but I find it is educational to hear points-of-view that are different than mine. Hope you enjoy. Jason Fried is one of may favorite speakers so anytime I can listen to a talk or interview of his I find it is worth the time invested. I'm so busy! What a common refrain from so many in today's world. A NYT article recently looked into what it means to be so busy. The article was posted by a person I follow - Tim Ferriss so I thought it would be worth reading and it was. The article talks about how people often feel a need to schedule every minute of life. And it's not only adults, the adults are doing the same to their children. What is wrong with kids just going outside and playing for a few hours with the neighborhood kids? What's wrong with a family taking a day to do nothing but spend time together? Is it possible that what we are really looking for is meaning in life and when we can't find the meaing we are filling our time with activity so we don't notice there is no meaning? Is it time to examine our lives and figure out what is really important and focus on that? Don't get caught in the "Busy Trap". A beautiful reminder that everything we see or hear in the news is not all there is - what a wonderful world. What do you do in the morning? How much time do you devote to improving your life before the day even begins? Many people believe the morning is the best time to do the most important activities because you are rested and there are very few interruptions. A recent Fast Company article answered the question of What The Most Successful People Do Before Breakfast. Here is the first of five tips in the article. While measuring your mornings, try tracking your whole week. The reason? The solution to morning dilemmas often lies at other times of the day. You may be too tired because you’re staying up late. But if you look at how you’re spending your nights, you’ll notice that you’re not doing anything urgent. The Daily Show can be recorded and watched earlier--possibly while you’re on the treadmill at 6:30 a.m. If you want to improve what you are doing, start with how you begin your day. What do you do before breakfast? In a recent HBR blog there was a post about energy management which is similar to time management but instead of being about time it is about energy. Below are some stats from the blog post. The result of these types of feelings is that people get less done and what they get done is lower quality and quantity. One of our goals as leaders is to help people in our organizations to feel good, be energized and get more done. 70% don't take regular breaks during the day to renew and refuel. 65% don't consistently work out. 68% said they don't have enough time with their families and loved ones, and when they're with them, they're not always really with them. We need to help people improve. We can do this by educating and sharing with our people that live doesn't need to be such a drain - we can feel energized and get more done. Go to the blog at HBR and see what the author says to do to improve and then share that with your people to get more improvement. Being a believer in the Sandler sales method - I am a big believer in the power of asking questions. Sandler teaches that the person who asks the best questions is the person who will be the most successful. Some people believe that because they may not have the title of "sales person" they don't need to be concerned with asking good questions, but this just isn't so. Every needs to ask good questions because good questions get to the heart of a matter and allow better outcomes. Below is a story from a man who went through Sandler sales training and how the power of questions literally changed a persons life. The excerpt is from the Columbia Business Times. “I am writing to inform you of an event that happened yesterday that speaks volumes of the curriculum that you teach. Standing in the upper level of one of my job sites I received a startling message. To begin with I am a true single father of two beautiful children whose mother abandoned them about a year ago; with that said here is what transpired. She told me that ever since she had left me she had been addicted to prescription narcotics and in an abusive relationship. By this time I am in my vehicle racing to south Kansas City to her home. I asked her ‘since this realization’ what has she tried to do to get help or leave. She responded saying she had tried to stop using and tried to leave her lover many times. I told her clearly this has failed to work and she agreed. She then told me that this has cost her her family, children and life. With a lump in my throat I asked her what she was feeling coming to this realization. When I arrived at her house, I found a beaten woman who was in the process of ending her life. I pulled my wallet out and showed her a picture of my beautiful 6-year-old son and my amazing 13-year-old daughter and asked her, “Are you going to give up on them, and are you done fighting?’ She dropped what she had in her hands and allowed me to call for help. Less than 24 hours later, she was on a plane to Colorado to a treatment center for addiction and spiritual healing. No one can tell me they don’t sell. If you’ve ever applied for a job, asked someone on a date or raised teenagers, you’ve been in sales. Sales skills are life skills. All of the attitudes, behaviors and techniques are directly applicable. It’s short-sighted to think they don’t relate to you. And those elements, when perfected, create better relationships. Isn’t that, after all, what we’re looking for? This morning I was reading an email from a consultant in California that explained the three excuses business people make for having a bad year. 1. The economy is bad. 2. Fewer people are buying. 3. I've tried everything and it's not making a difference. He claims that 8 or 9 out of 10 business will struggle this year due to the recession. So instead of focusing on those companies, he is looking at the 1 or 2 out of 10 that are going to grow their top and bottom lines. His advice is to stay confident because customers can smell fear and to do more marketing to turn more prospects into clients. 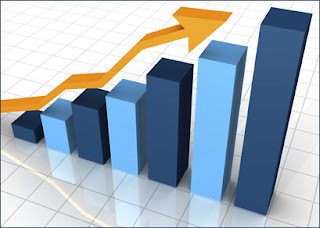 This year we are increasing our marketing investment for that exact reason. The plan is to grow this year over last year and I see it being possible but not easy. We just have to keep monitoring ourselves so we don't repeat the three excuses, keep our heads up and go find new business. There is no substitute for just doing something and then refining the process until the correct results happen. What does it take to become an extraordinary boss? How do you compare to this standard? What can you do to improve yourself? One way to improve is to compare how you operate to the gold standard and then work on closing the gap. Geoffrey James wrote an article entitled 8 Core Beliefs of Extraordinary Bosses in a recent entry on the Inc magazine website which is the source for this post. Below are a couple of the beliefs and what Geoffrey says about the beliefs. The full article is worth the read. A company is a community not a machine. He means, "Extraordinary bosses see their company as a collection of individual hopes and dreams, all connected to a higher purpose. They inspire employees to dedicate themselves to the success of their peers and therefore to the community–and company–at large." Motivation comes from vision, not from fear. Here he means, "Extraordinary bosses inspire people to see a better future and how they'll be a part of it. As a result, employees work harder because they believe in the organization's goals, truly enjoy what they're doing and (of course) know they'll share in the rewards." All of Geoffrey's points have similar insight. Read the article, start to put these beliefs into your management style and enjoy the improvement. This is a blog post from Gerhard Gschwandtner that I could not help but post here. It is the story of what happens when you take action. Get up out of your chair and do something! In January 1949, Hugh A. Wedge, sales-training director with Security Mutual Life in Binghamton, NY, offered an unusual account of an all-night sales binge conducted by 29 tireless, life insurance sales professionals. The group participated in a life underwriter training course and, on a dare, decided to plan "Operation Paul Revere," to be conducted on Friday, the concluding day of the course. At 7 p.m., they began to canvass the city of Binghamton, determined to find prospects and sell insurance policies. One salesman started out alone and visited people in gas stations, restaurants, bakeries, and any other place he could find open. 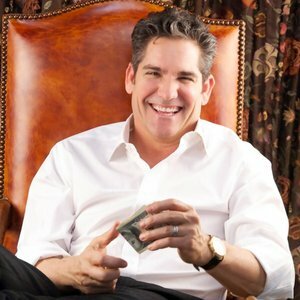 He wrote four life insurance policies for $20,000. He closed the first sale at 12:30 a.m. at a gas station and his last at 4:30 a.m. at a trucking company. Another agent sold a $50,000 policy to a young doctor in a hospital at 1:05 a.m. and collected a check for the first premium. "One woman in the group," wrote Wedge, "made it a point to establish herself in the cafeteria of one of the hospitals. Here she could sit under comfortable circumstances and talk with the nurses as they came in for their suppers. She had three interviews and closed three sales. She also got 10 new sales leads." One intrepid agent canvassed policemen wherever possible. One policeman he approached said that he had been looking for a chance to talk with a life insurance agent because he wanted to go into the business himself. He later was signed up as a new agent for the company, got an "A" on the aptitude index test, and is planning to work full-time for the company. The group worked until 5 a.m. and then met at an all-night restaurant to compare notes. The waiter who served coffee told one of the alert salespeople that he wanted to buy some insurance but hadn't had the chance to talk with anyone about it during the day. He, too, signed the application and paid his first premium of $107 in cash after producing a roll of bills. The 29 agents worked a total of 209 hours that night, made 227 calls, concluded 125 successful sales interviews, closed 61 sales, sold $285,608 of life insurance, and earned an aggregate of $3,203 in commissions. 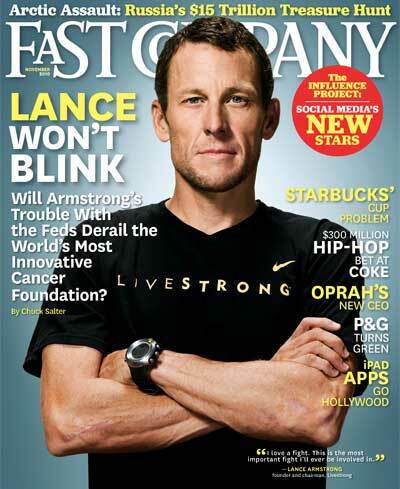 Learning The Softer Side Of Leadership is a blog post from Fast Company magazine. When I first saw a link to this post, my initial reaction was another soft and sappy article about holding hands and chanting together. I decided to click through anyway and see what the meat of the post was about. Turns out I really enjoyed the read and thought it would be worth sharing. Our company, Hopkins Printing, has been going through a lean transformation for the last three plus years. It has been a difficult and time consuming process that has resulted in some great gains in productivity, engagement and improvement. One of the pieces we have added is an annual strategy session that results in three top goals that then drive department and personal goals for each person in the company. This is where we are in alignment with "Learning The Softer Side Of Leadership" because it focuses on getting everyone in the company aligned with the strategic goals of the company. The hard side of leadership is the daily activities and the "to do's" that consume so much of our time and energy. The soft side is trying to keep the mood and the attitude of the team moving in a unified direction. Below is the headline for the blog post - "Leaders' primary objective is to empower others to make decisions and take actions that are aligned with the organization’s vision, purpose, and strategy. These nuances are the softer side of leadership, beyond the technical skills that you have already mastered." This statement gives the overall purpose of the post. Our job as leaders is to get the entire company moving in a unified direction. This is the softer side. Not sure that I like the title of this post but it does make a point. A leader like Mark Zuckerberg can teach us more than we may expect. The title of this comes from a newsletter put out by Chief Executive magazine. The article covers a series of things that Mark does that have taken him from a college website programmer to the CEO of Facebook. Facebook has grown at an amazing speed and Mark has been able to lead the company through the growth and it appears he will do the same after the IPO. Below are a couple of the points from the article - click to the article to read them all. Make your own development a priority. I have read that the average CEO reads a book a month to improvement him/herself. To grow and improve, this is a great goal. Think of your top weaknesses, whether it's HR, marketing, strategy, leadership, operations or something else, and find some good books to improve in any area of weakness. It is also good to occasionally read on the subjects you are strong in so you don't get behind. Be open. To be a great leader you must be open and willing to over communicate. Many times I make the mistake of thinking everyone knows what I know - which is rarely true. One speaker I have heard said it this way, "In the absence of information people assume the worst". This is so true in business. Make sure you spend extra time being clear about what is going on and more importantly, where the group is headed. Enjoy the article and become more like Zuckerberg. One great goal for sales it to listen more and more. It takes a conscious focused effort on a daily basis but the results are incredible. When a customer is listened to it shows a deeper level of respect that results in a better relationship. Take a tip - listen more and talk less. This is the weekend that Warren Buffett posts his Annual Letter. Each year Warren puts a years worth of thinking into a short, this year 21 pages, letter. Many believe this letter is a mini MBA from an incredible teacher. Warren has a book he credits for much of his success. It's a book written by his mentor and he still uses the philosophy of the book today. The Intelligent Investor by Benjamin Graham was the book that Warren credits with his success. Below is a video answering why he thinks this book is worth reading. Warren Buffett knows business and investing. He gives us a free course each year with his Annual Letter and he believes we should be reading The Intelligent Investor. If it's good enough for him, it's good enough for me. 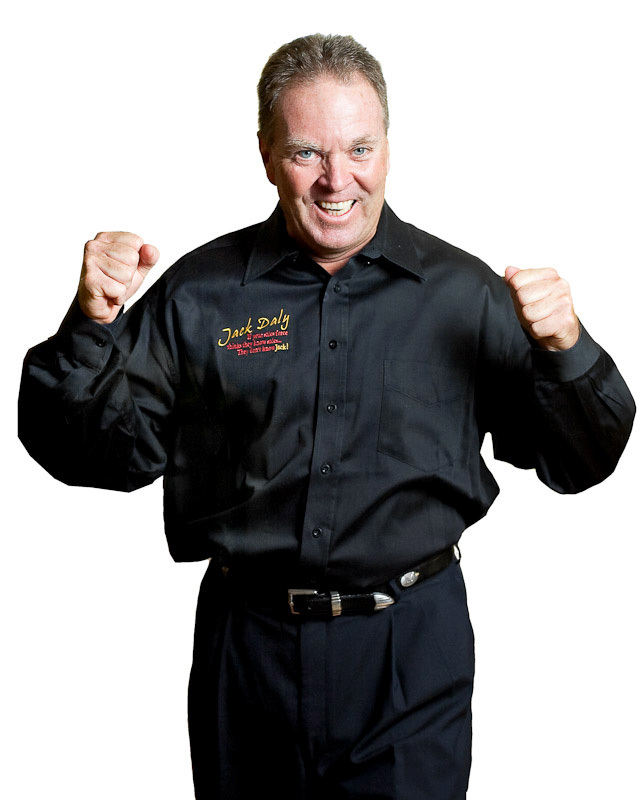 A few years ago I was in a sales training session being put on by Jack Daly. 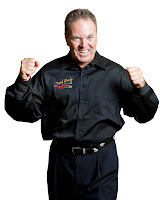 He was full of energy and enthusiasm but more than that he was full of great sales training ideas. 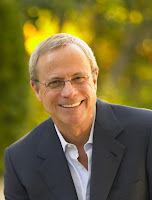 One of the concepts Jack taught was the "Shortest Course on Selling" - it is only four words. ASK QUESTIONS AND LISTEN. That is it, nothing more. He knows that if a sales person just believed and lived by these four words s/he could really improve. How can it be this simple? It's simple but it's not easy. Many sales people get into sales because they are outgoing fun loving people. They are good at meeting, getting to know and talking with others. All of that is great but it doesn't always help the customer. Asking questions and listening is customer focused. It becomes all about the customer and not the sales person. By listening you can find out what is on the customer/prospects mind and what is driving the purchasing decision. Who are we there for? How can what I am doing benefit the customer? Do I just show up and throw up? We need to spend more time focusing on the customer and finding out what is important to them. Selling is about serving the client and making sure they are taken care of. Take some time to go to Jack's website and buy some of his material - it's a great investment. 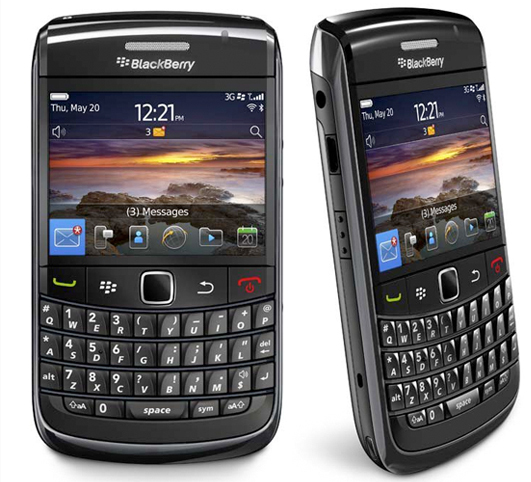 Just to be clear, I don't think RIM has failed - I have a Blackberry and have had one for years. The technology is good and it's stable. That being said, Blackberry has had some problems. In a recent Mashable article, Alex Goldfayn discussed seven lessons we can learn from the problems RIM is experiencing. The first lesson is to make great products. 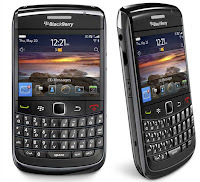 RIM has historically made the best product, the Blackberry, but as other smart phones have taken off, they have been left behind. As a company that is at the top, it is easy to not respect what others are doing. When this happens other companies can pass you up. This is not a phone only problem. In our industry, commercial printing, there have been two Ohio based companies who were seen as the best and could command a 10 to 15 percent premium. Unfortunately, both of these companies are now in trouble because as they were enjoying success, many other companies were able to pass them up. Keep talking to your customers is another lesson covered in this article. Here is a quote from Alex, "If you’re not talking to your customers, you’re just guessing from a conference room." It is imperative to get in front of customers. I remember once reading that Michael Dell, the founder of Dell, spent 30 percent of his time in front of customers. That is a great benchmark. The other 5 lessons are well worth reading and learning from. It's valuable for all of us to keep working on our companies and keep improving so articles like this are not written about us.